Appearance: Shichi has white shaggy hair that goes down to his ears, red slitted cat-like eyes, sharp black claws, fangs, and his skin is very fair. He's not very muscular right now, but plans to gain more muscle as he grows. He has a kanjii tattoo for tiger on his right cheekbone. 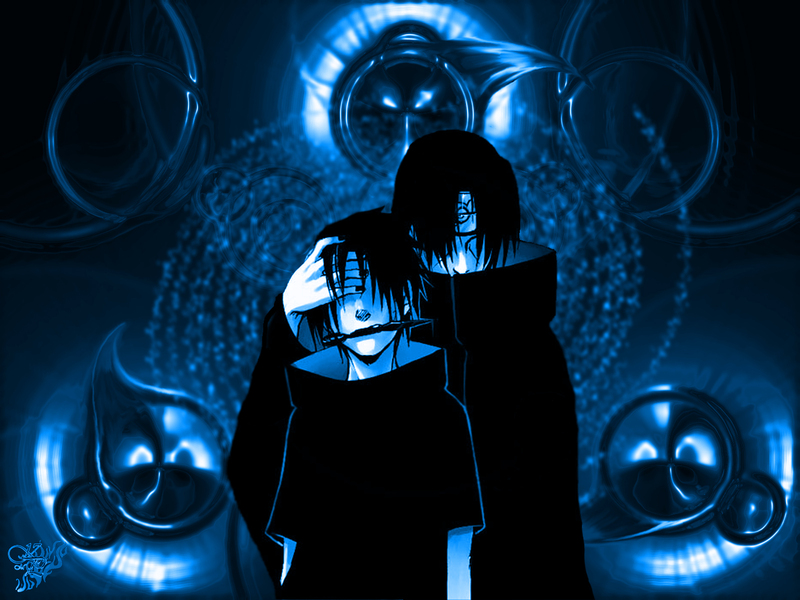 Shichiyou wears a white, hooded shirt with black sleeves and black pull-strings. It also has his clan's symbol on it's back. He wears loose, black, pants and black boots. He wears finger-less gloves that allow him to summon weapons. He has two, studded belts, that are crossed in an X fashion, wears a black, belt-like wristband on his right wrist. Also he has a black, belt-like choker around his neck. Around his waist and mingling with his belts is a grey, belt of fur that wraps around his waist, above his belts and tucked inside his belt on his left side so it hangs off to his knee. On his back he carries his weaponry umbrella which has a sword hidden in the handle. Personality: Shichi is generally quiet, only talking to those he trust. The way he acts depends on how much he knows the person. Around some he is goofy and care free, while around others he is serious and quiet. Shichi has one thing that sets him off..That would be comments on his height. If someone calls him short he usually yells at them, saying that he'll have a growth spout sooner or later. He likes to make friends with other people, it may take a while for him to trust them but once he is your friend he tends to be a good one. Shichiyou feels since he is the child of the leaders of his clan and that since his older brother Seisoku is the Raikage, that he must work hard to achieve greatness as well. His brother has inspired him to reach for great lengths. Birth Arc: He was born on Tenma no Kuni with his brother already as Akumakage. Shichiyou had looked up to his parents and brother for being the strongest shinobi on Tenma no Kuni. He also looks up to the other two Akumakage Excors and Despair, for rivaling his brother in strength. Shichiyou wanted to be like them and so he trained since he was small in order to grow up strong. Academy Arc Shichiyou's Sister, Kirameku, trained him while he was in the academy. She was the leader of the ANBU Black OPS tracking unit so he took her advice on becoming strong. Shichiyou was taught his first beast transformation at a young age. Something that had not been done in a couple thousand years. He showed great promise and made great progress in the Tenma no Kuni academy and managed to graduate in a year. Genin Arc: Now a genin, Shichiyou is still training under his sister, Kirameku and also learns from his brother Seisoku. He doesn't have a Jonin Sensei as of yet, however, he sees his older sister and brother as his Sensei's and aspires to be strong like them both. He awaits the chunin exams so he can prove himself to the others and become a chunin. Nindo: "Always try your hardest to succeed." Fighting Styles: Chakra-Enhanced Strength, Powerful and quick strikes. While wearing his special gloves "Kakushi Sutoraiki", Shichiyou will send chakra to one of his gloves on either hand, pull his arm back, and thrust it forward. 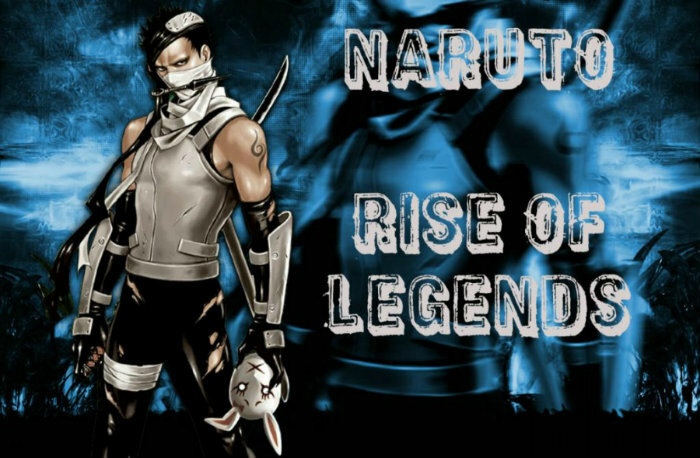 This will cause three kunai to be fired from the glove in quick succession which allows him to catch his enemy's off guard. While Wearing his special gloves "Kakushi Sutoraiki", Shichiyou will send chakra to one of his gloves on either hand, pull his arm back and thrust it forward. A flash bomb will be quickly launched at his opponent and will go off seconds after. It is meant to blind the opponent momentarily so he can follow up with another attack. Shichi sends Katon chakra to his mouth and forms it into a fiery ball made of condensed katon chakra and then fires it at the enemy when it is ready. When it hits the enemy it will cause a small yet powerful fiery explosion. Description: Sakura gathers an immense amount of chakra into her fists and then releases it on contact with an object, usually the ground, and is pulverized into minute pieces by the excess shock, which are then raised up and scattered like flower petals, giving rise to the name "Cherry Blossom Impact". After throwing a special umbrella into the air, it will release a hailing "shower" of senbon. Any quick enemy will be able to deflect or block the senbon since they do not travel at particularly high speeds. However, this cannot be dodged by moving away since the needles cover a wide area. The needles were said to be able to pierce a five millimeter thick steel sheet. They can also be dipped in poison to increase lethality. This technique creates a volley of small fireballs, which are spat out of the user's mouth, flying wildly in every direction and assaulting the enemy. In addition, the flames are controlled one by one with chakra, so avoiding them all is extremely difficult. Shuriken can be hidden within the flames, creating an unexpected secondary surprise attack. Like the flames, the shuriken can be controlled with chakra. For the most part, however, this technique is used as a distraction. 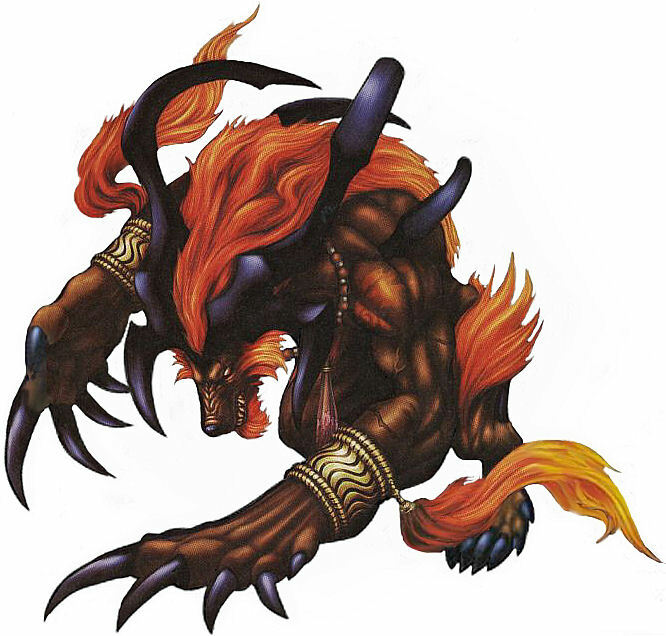 When a Kedamono Clan member takes the form of this beast, they will resemble a large bi-pedal/quadrupedal horned wolf. They have really short fur covering their body, a mane of pure fire that runs down to their lower back and other tufts of flaming fur on their body. Their teeth elongate and sharpen, as do their claws. They gain a large set of horns that start at the head and curve down to their backs, with two smaller ones protruding forward on the sides of their face. Their skin is soft to the touch but it is actually as hard as steel. Although not entirely covered in fire touching the beast will result in whoever touching it getting second degree burns. The beast has a natural affinity for Katon, thus when in this state the user can only use katon jutsu (or jutsu with no element). The beast has powerful leg and bone strength which allows it to jump extremely high and land as if it was nothing, it can easily clear a 15 story building with an idle jump and can jump even higher while running. It is a considerably fast runner and is very strong. While they are in this form they will gain an increase in abilities, the amount of chakra they used to bring out the beast determines how strong the beast will be.